Wait until you see the all new BFS which re-opened last week. 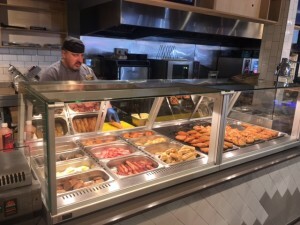 Nearly double in size with a fully seated area, coffee dock, fabulous looking deli, extended grocery and frozen food range, colourful display of fresh fruit, daily baked bread, newspapers, ATM, greeting cards, and more…. I could go on all day but I won’t, go in and see it for yourself, you won’t be disappointed! With over 30 staff this marks a considerable investment into the future of this popular local business, which is owned and run by the Blake family.